If you’ve recently opened Google Calendar or Google Docs you may have noticed a few new icons to the right side of the browser window. 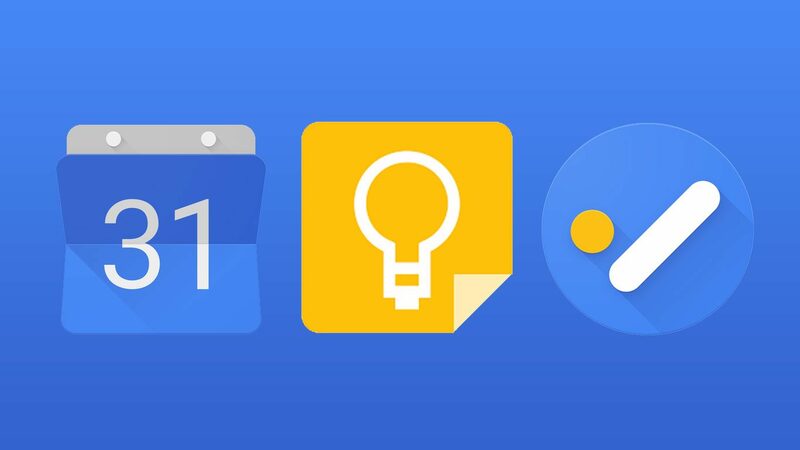 These are new productivity features and Google has slowly begun adding them to an array of applications over the last few months. Google Docs, Sheets, Slides and Gmail will now display Calendar, Keep, and Task apps within the sidebar. These features allow for more app integration within the Google Apps product suite and provide users the option to manage common tasks without navigating browser tabs or toggling between apps and disrupting their productivity. For example, say you’ve received a Gmail message with some information that will need to be addressed in a meeting, you could create it’s own calendar event directly by clicking on the Google Calendar icon within the sidebar and clicking within your calendar schedule to create the new event. Note the event will contain the subject of your Gmail message so adjust the title accordingly. If you manage several calendars there is a dropdown bar allowing you to quickly select a specific calendar for the new event. Similarly, within other Google Apps such as Docs or Sheets clicking on the Keep app icon and the “+” symbol will create a new Keep item directly linked to the app file you are working on which is a handy feature if you are organizing your to-do checklist for the day along with managing multiple documents.